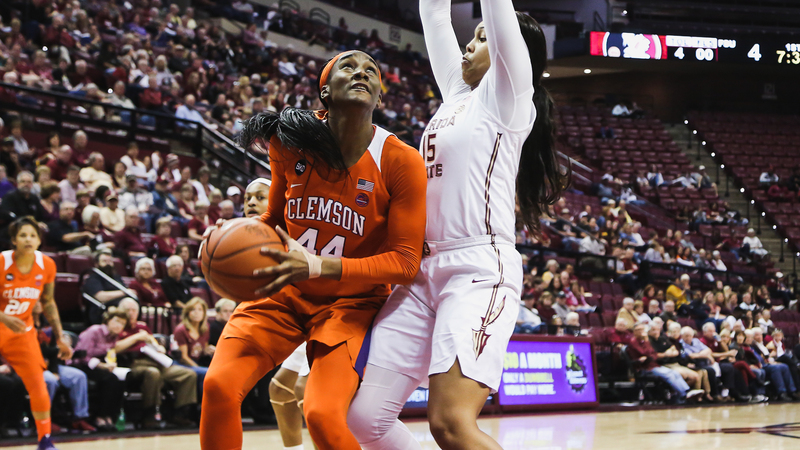 TALLAHASSEE, Fla. – For the second consecutive game, the Clemson Tigers emerged victorious over a ranked opponent, downing No. 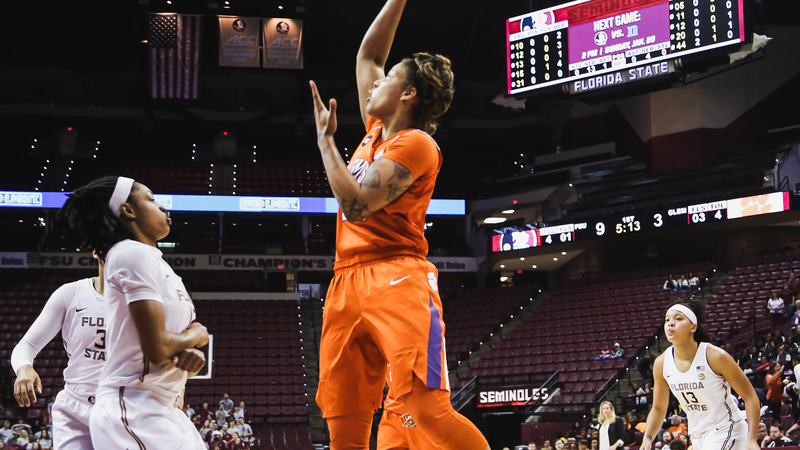 22/18 Florida State, 57-45, Sunday afternoon at the Donald L. Tucker Center. 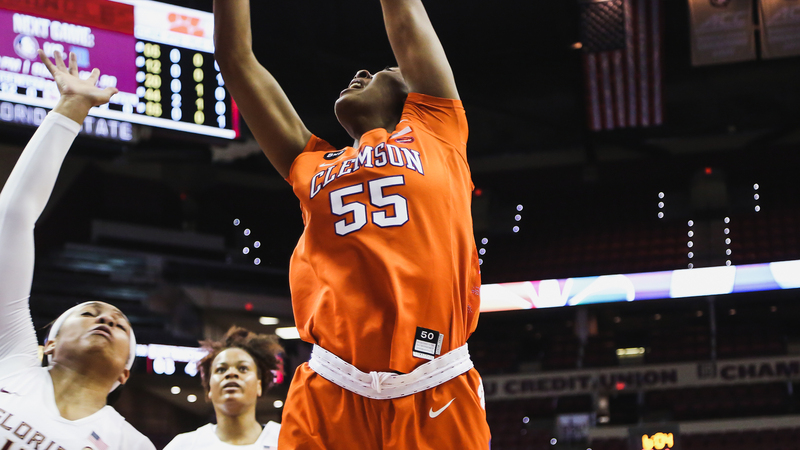 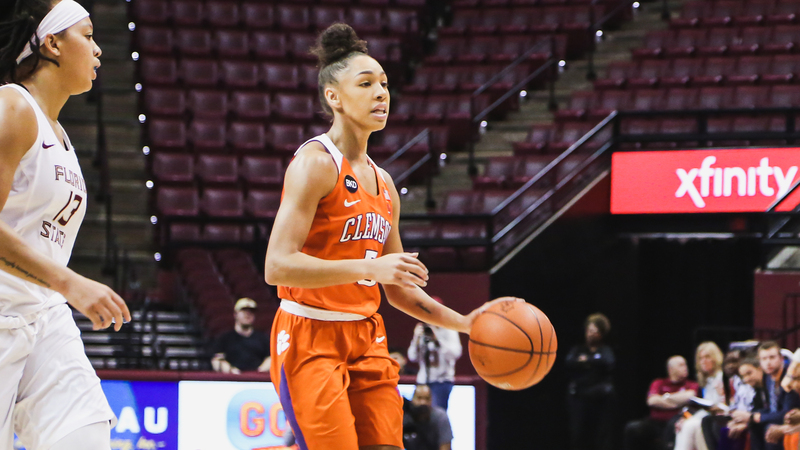 Sunday’s win marked the first time in program history that Clemson has defeated back-to-back ranked opponents on the road. 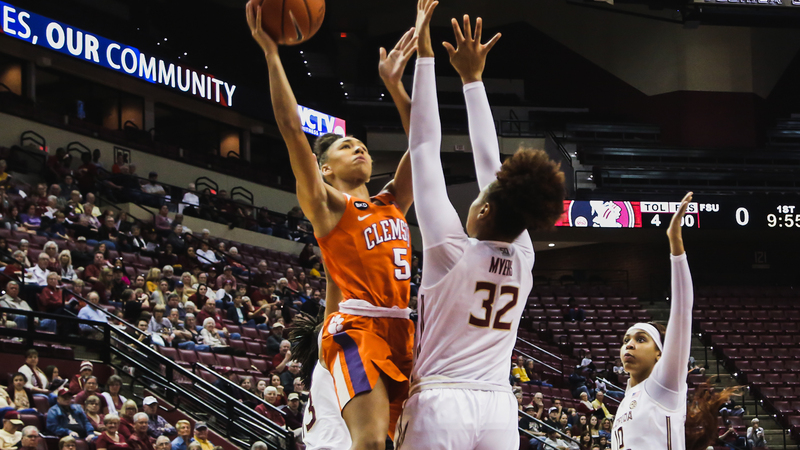 The Tigers benefited from a solid bench performance and an overall imposing defensive showing en route to starting conference play at 3-1 or better for the first time in 21 years. 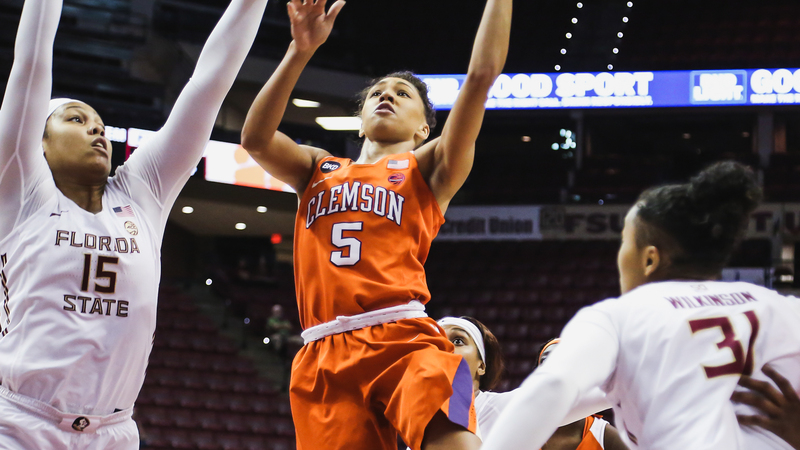 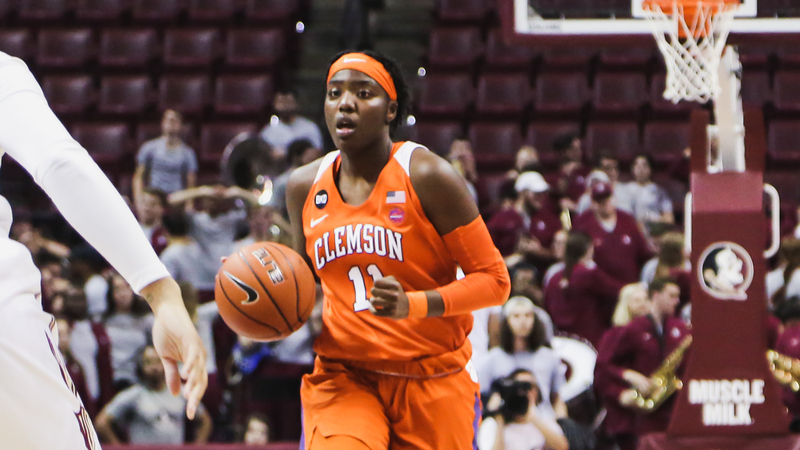 Outscoring Florida State 21-10 in bench points, Clemson overcame a slow start that saw them trailing 13-10 through one quarter to control the game for the rest of the way. 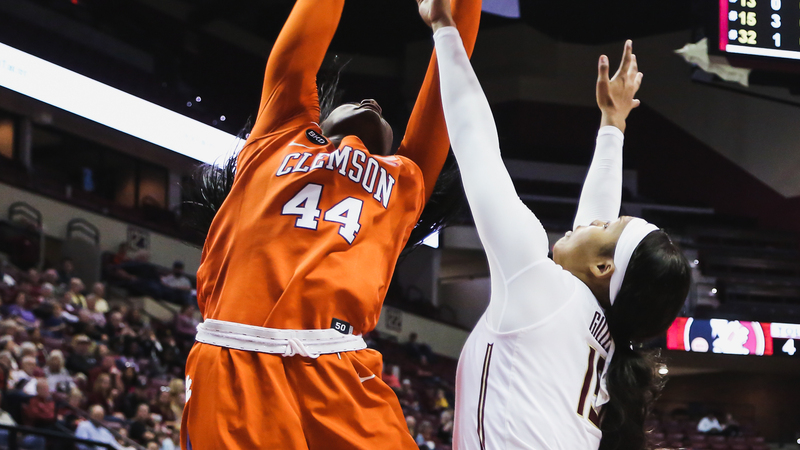 Shooting 41 percent from the field, the Tigers made the most of their opportunities down low, tabbing 32 points in the paint. 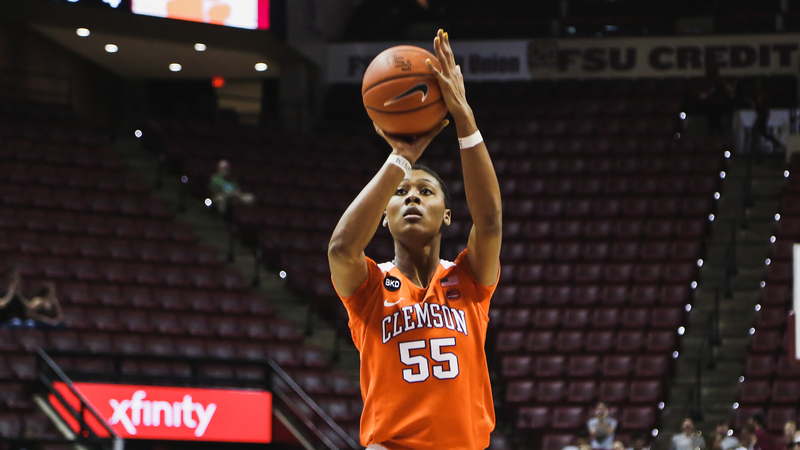 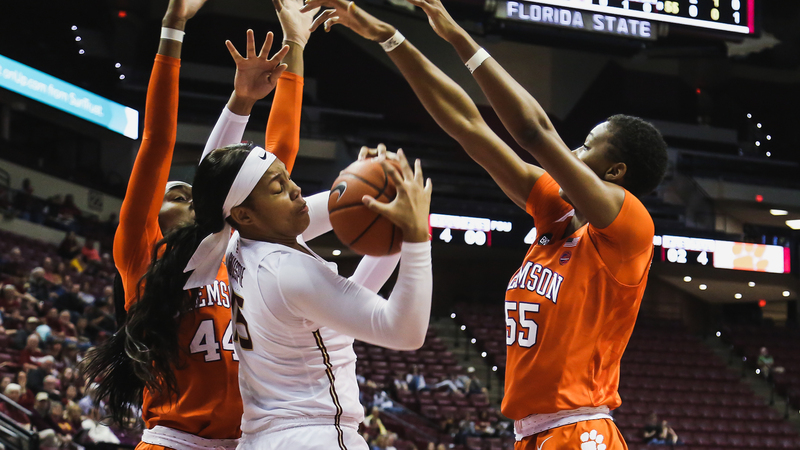 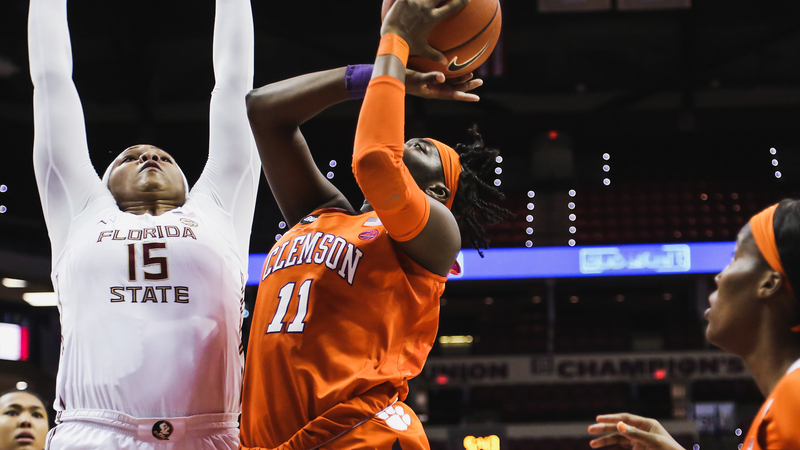 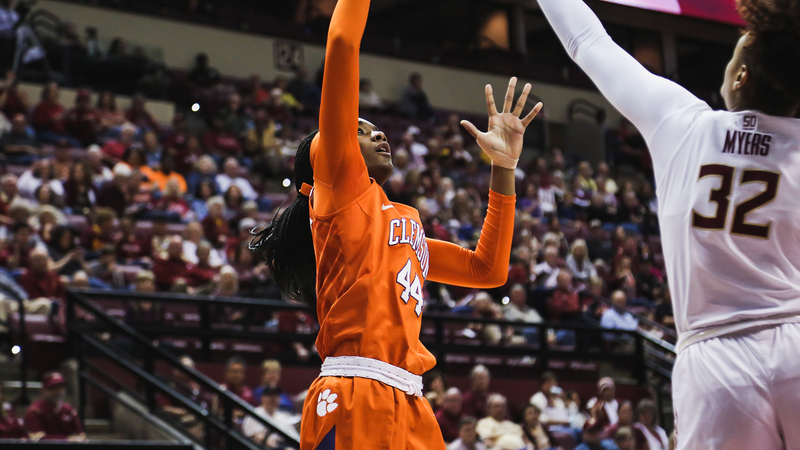 Clemson’s defensive pressure set the tone in the contest with Florida State committing 23 turnovers, opportunities that the Tigers capitalized on with 20 points off turnovers. 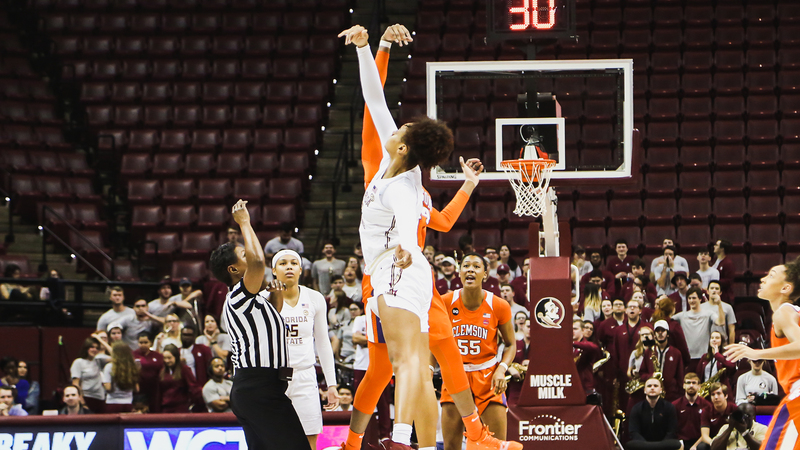 Bennett says…NOT ON MY ⌚! 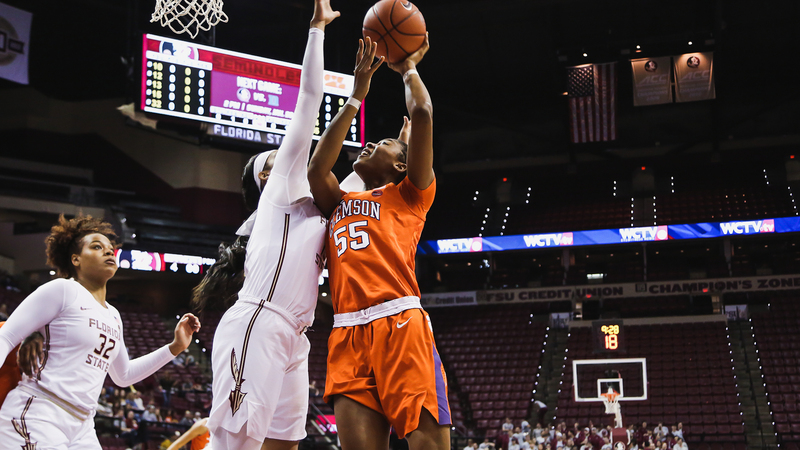 Thornton takes a 🔥 dish from Westbrook!